As I am always one to revisit the idea of racially controversial mascots, back to further explore. Now, most of the questionable mascots come from a long history of being a part of the team, so tradition vs. political correctness is the issue. But in this team’s case, well, it just wasn’t. I give them some credit for him being similar to the original logo, but still, you got rid of him for a reason, right? What made you think that bringing him back was a good idea?! Boston Raider didn’t even make it through the entire 2014 season before getting put in the penalty box. And here we are, south of the border, thinking that Canada is all nice and sweet with their free healthcare and awesome accents. This guy has become the replacement logo, but I’m not sure he’s so family friendly either. With the direction of the hand, and placement of the knife… well… judge for yourself. Yes, you read the subject line correctly- Mascot of the Day is back!!! The hiatus was a debbie downer for me- forced to teach a semester’s worth of economics in a few weeks so students can pass that which is always labeled ‘the worst class ever.’ Economics is great, people. Get with the program. But it’s not as great as mascots, And today’s mascot has been voted the best of Long Island- 5 years running! 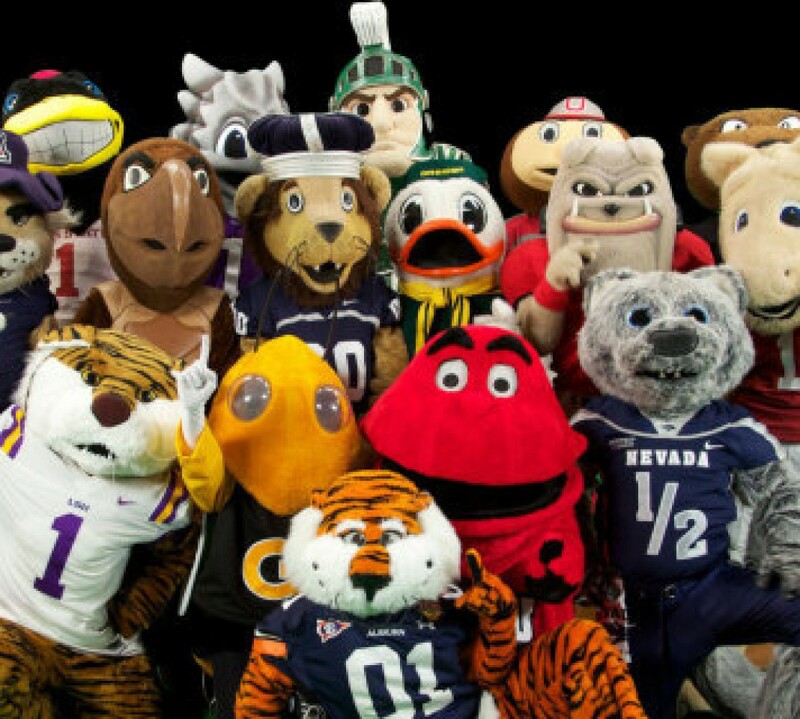 How many mascots are there on Long Island, NY that this is a big deal? Honestly though, it doesn’t matter, because this cutie named QJ is great. QuackerJack is coined ‘New York’s Largest Living Duck,’ which is likely true, because the sunflower seeds dropped around the stadium floor have made him a bit plump around the midsection. His favourite game is Duck Duck Goose, and though he has never been seen successful at the task, his favourite song is ‘I believe I can fly.’ Keep believing, QJ! QJ isn’t just a cute duck to look at- he’s also a DH who hits both left and right, which explains how they were able to win 3 championships since the team’s debut in 2000. While it’s likely that you you know nothing about, and have no interest in, Atlantic League Professional Baseball, which is completely separate from the MLB system, keep it in the back of your mind so if you’re ever invited to a game, you can get a pic with a pretty awesome mascot. Shake that tailfeather, QJ!